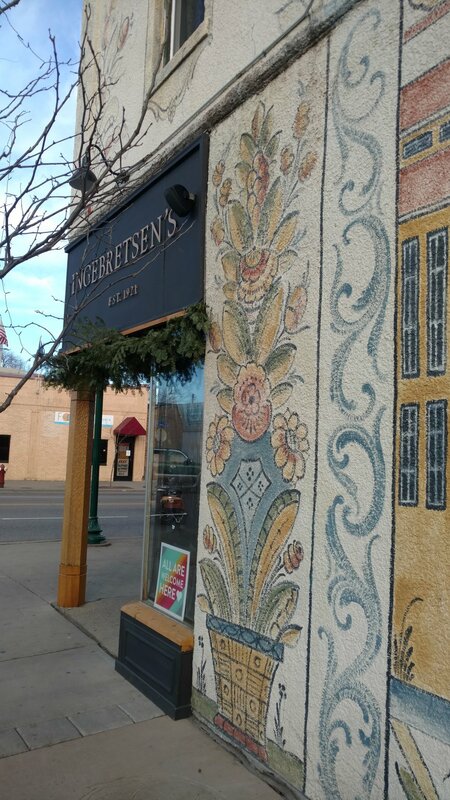 “Don’t let me forget the lefse plug thingy,” I say as we saunter down the sidewalk past the man and woman in a horse-drawn sleigh, captured in paint on the stucco wall. “The reason we’re going,” Husband says. The mild winds feel more like early September than December today, so without the usual arctic fingers tearing at my coat, I admire—maybe for the first time—the rosemåling touches on the mural. “Hey, we should get some pea soup while we’re at it,” Husband says. 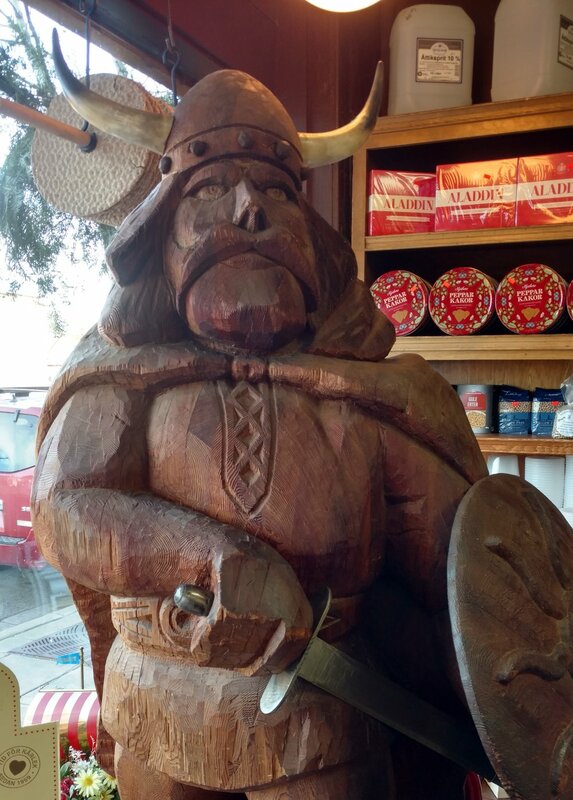 We enter Ingebretsen’s, a Scandinavian food and gift shop, which has cozied up on the corner of sixteenth and Lake since 1921. The place exists all year, but only enters my consciousness at Christmastime. And I see I’m not the only one. We head for the store’s deli. The line is thick like braided cardamom bread, and people draw numbers from a dispenser. Husband and I part ways so he can order up the pea soup he first tasted at Sons of Norway more than a decade ago. A barrel-chested worker, sheathed in an apron, slices off two wheels for him. At the other end of the deli counter, I wait to catch the eye of another employee. “May I sample the pickled herring in sherry, please?” I say. After all his trouble, I wouldn’t be courteous if I didn’t order a half pint. 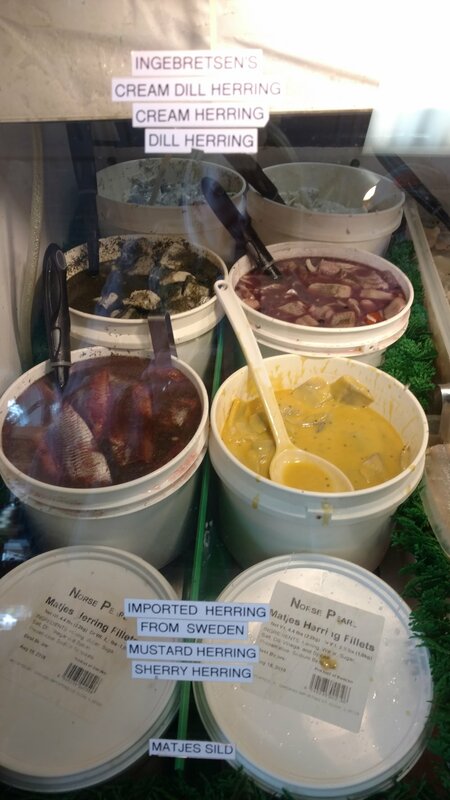 I request a half pint of the herring in creamy dill sauce too, so the first container isn’t lonely. 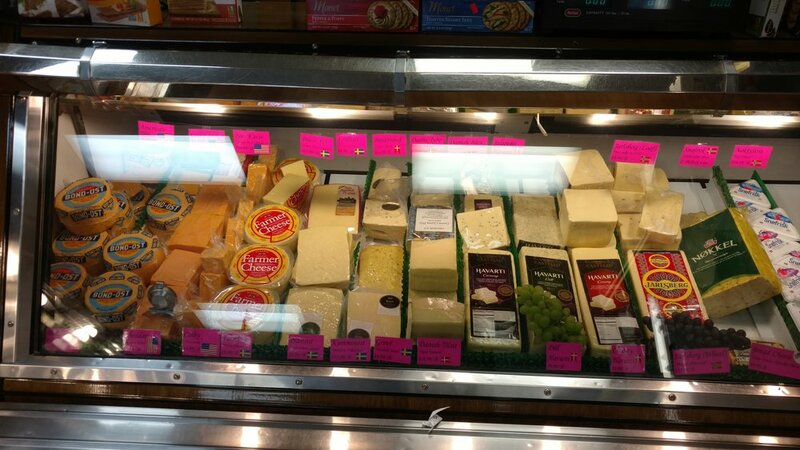 Next I wander to the cheese section, my mouth watering when I eye the log of gjetost. I refrain—this time. Husband and I meet up at the refrigerated section. Flicka sidles over. A septuagenarian in a Nordic sweater, his mouth set in a tight line, plows through our family meeting and plunges his hand into the refrigerator, snatching one of the last packages of lefse. Sometimes the holidays trigger desperation. “Oh, sorry,” he says, glancing at us. But the way he grips his lefse, I wonder if he is. We meander to the gift shop on the other side of the store. I eye the pewter jewelry, the cheery red candleholders, the napkins graced with trolls. “Are you ready to go?” I ask the family, worried I might damage the checkbook if I linger. “We should probably get what we came for,” Husband says. 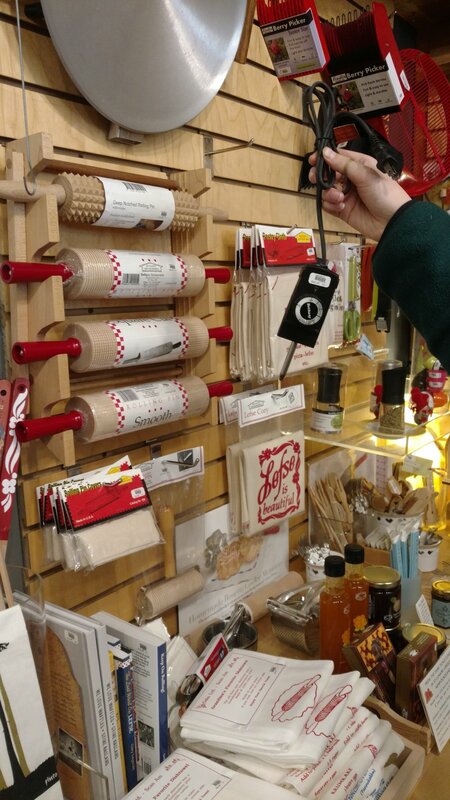 He nods toward the lefse supplies; my memory prods me back to reality. And there’s one plug thingy left—just for us.